NEWS ALERT: On Thursday, December 13th 2018 the Department of Education announced that they’re approving $150,000,000 in Borrower’s Defense to Repayment Discharges, including discharges for people who attended WyoTech. In fact, half the $150 million set aside for this round of approvals has been dedicated to Corinthian Colleges borrowers, so WyoTech borrowers are extremely likely to get their BDAR applications approved during this round of approvals, and DOE began issuing alerts to those lucky borrowers on December 14th 2018. If you haven’t already submitted your WyoTech Borrowers Defense application, then I’d suggest getting it in TODAY so that you stand a chance of being included in this round of approvals! In 2019, students who attended WyoTech have access to two great forgiveness options: first, the Borrower’s Defense To Repayment program, and second, the Closed School Loan Discharge program. 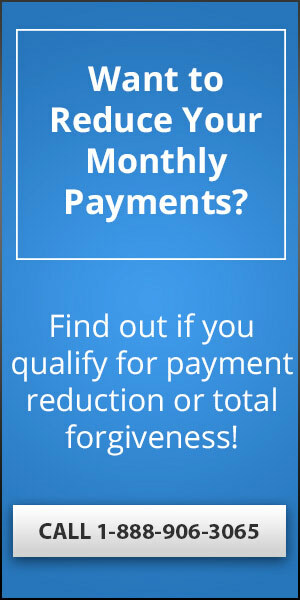 In this article, I’ll provide you with information about who qualifies for WyoTech debt forgiveness via these two programs, covering the application process for each path to debt forgiveness, as well as the best way to present your claim in order to increase your chances of getting approved for a Borrower’s Defense submission. If you’re a former student at WyoTech seeking student loan forgiveness then you’ve definitely come to the right place, because this Guide will walk you through the process of picking which program to use, then telling you how to fill out an application that’s likely to be approved for the discharge! In 2015, WyoTech’s parent company, Corinthian Colleges, Inc. was found guilty of lying about their job placement rates and encouraging low-income students to take out student loans in order to receive a substandard education. These former students are now struggling under a mountain of debt, with many of them being unable to find steady employment, even though they may have graduated with a “respectable” degree from WyoTech.. In March 2016, the California State Attorney General obtained a $1.1 billion judgement against Corinthian which entitles former WyoTech students to be eligible for applying to receive loan forgiveness for their WyoTech debt. In this article, I’ll explain exactly how you can take advantage of this situation by using the judgment against Corinthian to wipe out your WyoTech loans. The two programs offering loan forgiveness for WyoTech students are the Borrower’s Defense To Repayment program and the Closed School Loan Discharge program. The first thing that you need to know is that you’ll want to pick one program or the other, and apply for just that one, so you need to choose the one that offers the best chance of getting your student loans discharged, which I’ll help you figure out below. With that in mind, let’s take a look at the differences between these two programs. However, before we do that let me stop right here and say that WyoTech loan forgiveness is for real and 100% legit. It’s not a scam. Both of the programs I’m going to discuss below were set up by the US government, so you don’t have to worry about them stealing your personal information, failing to provide the benefits you are pursuing, or causing you any problems. Unlike some of the other Student Loan Forgiveness Scams floating around out there, these are both real, Government-backed programs that you can trust. The US government set up the Borrower’s Defense Against Repayment program to help students who were attending schools that broke the law in some way. Since Wyotech was found guilty in a lawsuit of breaking the law, former students of Wyotech are entitled to tuition forgiveness via the Borrower’s Defense Against Repayment program. If you’re thinking that this is a complex, difficult and byzantine legal process that won’t even be worth your time and effort, then stop right there, because you’re dead wrong! Borrower’s Defense is relatively simple, straightforward, and it has already provided other former students with student loans discharges as a result of this class action lawsuit against WyoTech, so it’s totally worth the effort. 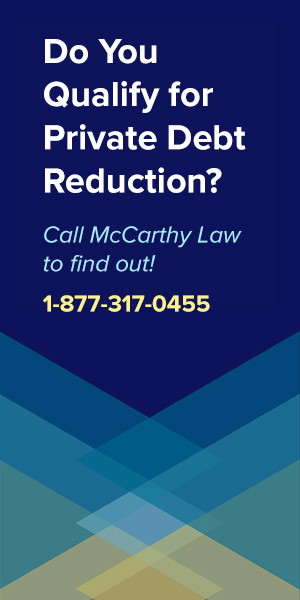 All you need to do is link your claim to the WyoTech court case and summary judgment, and you’re virtually guaranteed to qualify for a loan discharge. 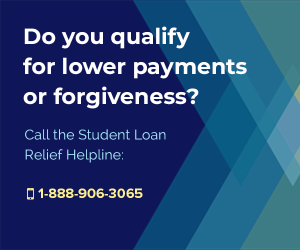 If you fill out the application properly and your loan servicer processes it correctly, then your student loan will not only be forgiven, but any payments you have already made toward the loan may even be refunded. Therefore, how you write your Borrower’s Defense claim is pretty important, so let’s take a look at how to do that now. You need to stress that the school did something illegal, which convinced you to borrow money to attend their program, and which you wouldn’t have done otherwise, had they not broken the law. Fortunately, in WyoTech’s case, this is easy to prove since they’ve already been proven to have broken the law, been punished, and in a major way: being slapped with a $1.1 BILLION dollar judgment. 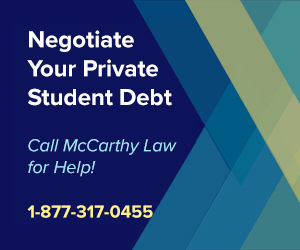 Now, in your Borrower’s Defense Application, be aware that it’s not enough to just point to the school’s wrongdoing and expect that you’ll receive the discharge, because you need to show that the school did the things they’re accused of to you personally, and you’ll need to be specific about what happened. In your application, you need to point out exactly what WyoTech told or promised you that caused you to take out the student loan in order to pay for the cost of their tuition. Remember, the school was found guilty of lying about their graduation rates, amongst other things, and punished for that bad behavior. Therefore, it should be pretty easy for you to prove that you were misled via their misrepresentation and false advertising. To help you brainstorm ideas for your argument, let’s look at what WyoTech has been proven to have done that got them into big trouble with the law. As you read through the charges, ask yourself if any of these things happened to you. If they did, then you have a right to ask for student loan forgiveness via the Borrowers Defense Against Repayment Program..
What Fraudulent Activity has Wyotech Been Accused Of? Wyotech has been accused of lying about their job placement rates and pressuring low-income students into signing up for student loans that Wyotech knew they would have trouble repaying. When you fill out the Borrower’s Defense Against Repayment you’re going to need to point out that WyoTech did these things I just mentioned to you, personally. Again, it’s not enough to simply state that they were involved in a lawsuit and got punished. 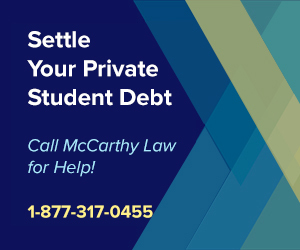 Since you are trying to get student loan debt relief for yourself, you will need to prove that the school targeted you personally. I’m repeating myself for a reason. 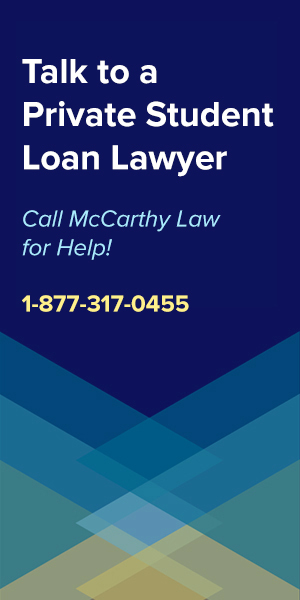 Linking the lawsuit to your claim is extremely important because if you can’t make that argument clearly, then your Borrower’s Defense Application will be denied. Fiddling with job placement rate statistics in order to make it look like their programs were a big success when they really weren’t. For example, some people were told that certain programs had a 100% job placement rate. This encouraged people to take out student loans for substandard training. Using false advertising to entice vulnerable, low-income students into taking out loans that WyoTech knew they would have a lot of difficulty paying back. Lying to people about the success their graduates have at passing professional licensure exams. People took out student loans in order to enroll in what was supposedly a terrific program only to find out later, upon graduation, that they were ill-prepared for the professional licensure exam in their field. Did any of these things happen to you? If they did, you are entitled to student loan forgiveness, and you can use them as the arguments for why you should receive a debt discharge when filing your Borrower’s Defense Claim. Speaking of which, when you’re ready to file a Borrower’s Defense claim, you’ll need to go to the official US government website set up for this purpose. If you want to read the entire form, just click the “View Form” button at the bottom of the page. Do not go anywhere else to file your Borrower’s Defense Application! There are tons of scammers out there preying on desperate student loan holders and you don’t want to get caught up in their net. File your claim at this US government website set up specifically for the Borrower’s Defense To Repayment program ONLY! Anyone else who says they can help you file your claim should be regarded with serious suspicion. Head’s up. It might take some time before you hear anything about the status of your application. I know that some people waited over a year before they heard back from their loan servicer, so don’t expect a quick response or result here. Just because it’s taking a long time doesn’t mean that anything is wrong. However, don’t let the possible wait stop you from applying, and be sure to get your application in as soon as possible, because our Education Secretary Betsy DeVos is trying her best to get rid of the Borrower’s Defense To Repayment program, and it’s possible that she and President Trump will succeed in wiping this thing out, which would be awful. Keep in mind that even if they do destroy Borrower’s Defense, that as long as you get your application in before that happens, you’ll stand a very good chance of being grandfathered into the program and eligible to receive the benefit anyway. The key point here is that you need to have an application on file before the program is shut down, so get your application submitted ASAP. If you don’t feel that WyoTech misrepresented themselves or did anything illegal to convince you to attend the school, then you won’t qualify for the Borrower’s Defense program, but you’re not out of luck, because there’s another great option available. The Closed School Loan Discharge Program is a near sure-bet for wiping out your WyoTech loans, because we all know that WyoTech closed it’s campuses, so as long as you meet the eligibility conditions I outline below, you’ll be able to get your loan erased. Did Wyotech close before you were able to complete your degree? If you left WyoTech before it closed, did you leave no more than 120 days prior to its closing? If you answered yes to either question above, then you’re eligible for a Closed School Discharge, and you should apply for the Closed School Loan Discharge program. For background details and everything you need to know about this program, visit my page on the Closed School Loan Discharge program, here. This page goes through the entire program in detail, covering why it was created, how it all works, benefits and weaknesses, tax liabilities, etc. However, if you’re in a hurry, don’t worry about reading through all that mumbo jumbo and just proceed through the rest of this article, which will cover the eligibility and application process (the only parts you really need to pay attention to). If you weren’t studying at WyoTech at the time it closed, you must have left no more than 120 days prior to its closing. Do you fit into one of those two categories? If so, keep reading because there are two other conditions you need to satisfy as well. Are you currently attending another school after having transferred your credits to that school from WyoTech? Did you complete all the credits necessary for graduation from WyoTech, but left the school before obtaining your diploma? If you fall into either one of those categories you will not qualify for the Closed School Loan Discharge program, because the US Government will consider you as having finished you education before the school closed. However, if you do satisfy the above requirements then there’s a very good chance that you’ll be able to get your remaining student loan balance discharged via the Closed School program. How Do I Apply for a Closed School Discharge? To apply for the Closed School Loan Discharge program, simply download the official application, fill it out, and then submit it to your loan servicer (the company that receives your monthly student loan payments). After you submit your application, your loan servicer will tell you what to do next. Each loan servicer has a different way of handling the applications, so I can’t give you any advice other than to follow their instructions. Once you’ve satisfied whatever requirements they have for issuing the discharge, your student loan balance will be wiped out, and you may even receive refunds on whatever amount you’ve already paid. Which Program is Better? Borrower’s Defense or Closed School Discharges? That’s hard to say, because it really depends on your specific situation. I would say that if you qualify for both programs, you should choose the Closed School Loan Discharge program simply because the applications for the Borrower’s Defense program are taking such a long time to process, and because you have to keep making your monthly payments until your application is approved.. Ultimately, the choice of program is up to the individual borrower. Both programs have the ability to not only wipe out your student loan debt, but to refund you as well for any payments that you’ve already made on the loan. At the end of the day, you’ll need to read through the requirements for each program carefully and then decide which one is going to work best for you. 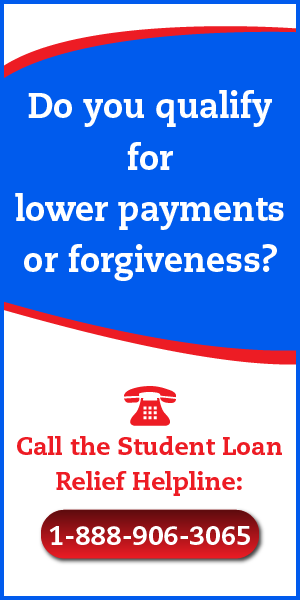 Let’s say that you have $100,000 forgiven via either the Borrower’s Defense program or the Closed School program. You’ll need to claim that $100,000 of forgiven debt as taxable income on your IRS tax return, and at an income tax rate of 30%, that would mean you’d have to pay the IRS $30,000, and in a single, lump-sum payment! 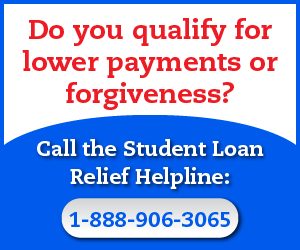 Don’t let this discourage you from applying for student loan debt forgiveness though, because owing the IRS $30,000 is way better than owing some student loan servicing company $100,000, so even if you get taxed on the amount forgiven, you should still end up way ahead on the deal. Just be aware that you may have to get into some fancy accounting to deal with your future IRS debt, because you’ll probably need to work with them to get on a long-term payment schedule in order to avoid paying for the entire amount all at once (who can afford that?). Also, I’m well-aware that most people who are struggling with student loans don’t have any spare cash laying around, and will need help navigating this tax-related part of the process, which is why I’ve created a new website dedicated to helping people get rid of their IRS tax debt, called Forget Tax Debt. If you’re struggling with tax problems, be sure to visit Forget Tax Debt, where you can learn about topics like Filing & Paying IRS Back Taxes, IRS Tax Debt Settlements, The IRS Fresh Start Program, and IRS Tax Debt Forgiveness Programs. 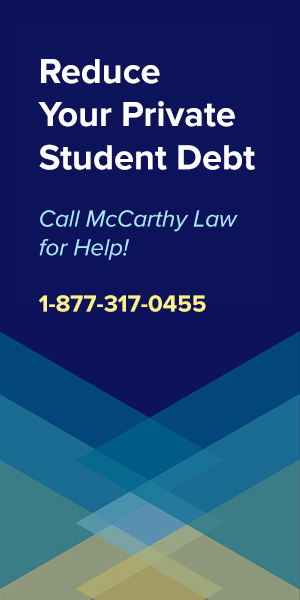 My site covers all sorts of topics related to student loan debt, with comprehensive Guides to managing each part of the process. 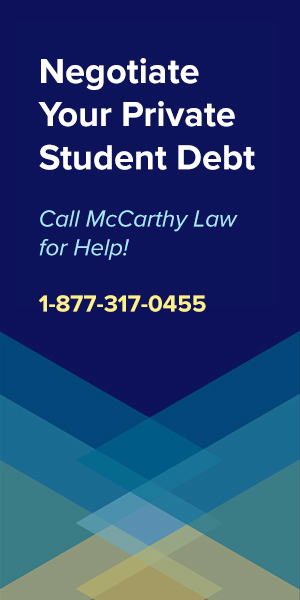 For Federal Student Loan Relief, visit my pages about Federal Student Loan Forgiveness Programs, Federal Student Loan Bankruptcy Discharges, Federal Student Loan Delinquency, Federal Student Loan Rehabilitation Programs, and Stopping Federal Student Loan Wage Garnishments. And if you’re looking for Private Student Loan Relief, be sure to look at pages on Private Student Loan Forgiveness Programs, Private Student Loan Consolidation Programs, Private Student Loan Bankruptcy Discharges and Private Student Loan Default Help. Finally, if you want official Government-information about the Borrower’s Defense program and the Closed School loan discharge program, try visiting the official US government Student Aid Website. Please remember that it really can be unwise to take advice regarding student loan forgiveness from anyone other than the US government. To be clear, I am not a representative of the US government, but I am happy to answer questions about these programs, so feel free to ask them in the comments section below and I’ll get you a response in 24 hours. If this page helped you out, then please consider supporting my site by sharing a link to this page with your friends and family. 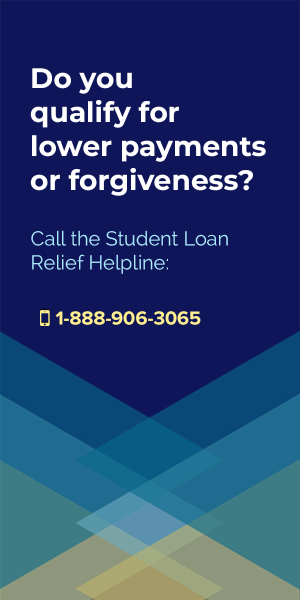 Post this page to Facebook, share it on Twitter, or email it around to the people you know who are struggling with student loans! The more people who visit this site, the more time I can spend writing up content like this and helping people like you escape from excessive student debt. Thanks for visiting, and please check back soon for updates!